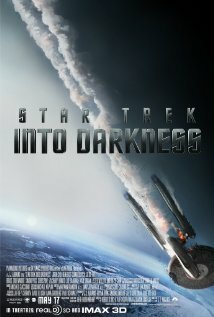 The latest in th e Star Trek series of movies is Star Trek: Into Darkness, which offers the alternate backstory about the infamous Khan. If you watched the second film in the series, then you know that Khan is just bad news all the way around. What is going to happen with the young versions of the Enterprise crew? You will just have to rent a copy of this heart-racing, action-packed, drama-filled, and comical movie to see for yourself. Star Trek fans will likely be thrilled with this movie since it offers some of the most updated graphic effects available. To learn more, you need to go to http://www.imdb.com/title/tt1408101/?ref_=sr_1. This movie gets a five out of five popcorns rating.